Greater Kuala Lumpur is recognised as a regional headquarters in Southeast Asia oil & gas industry in any number of analysis. Cost effective, a plentiful workforce and government incentives are the drivers, but this economic engine is just getting warmed up. ven though some in Greater Kuala Lumpur still refer to the Malaysian capital as an “emerging” oil & gas hub, mounting evidence says it already is one. The first Offshore Technology Conference Asia — an offshoot of the annual OTC event in Houston — took place in Kuala Lumpur in March, drawing nearly 18,000 registrants from over 80 countries. That’s about 3,000 more attendees than had been anticipated. Many participants didn’t need to travel far, if at all: Besides state oil company Petronas, Malaysia is home to more than 4,400 oil & gas companies, most of which have operations in Greater Kuala Lumpur. The selection of Malaysia and its capital as the conference host “reaffirms its position as a prominent hub for oil and gas services in Asia, and its role as a center for major international oil and gas corporations,” noted the conference organizers. Greater Kuala Lumpur is the right place at the right time, roughly equidistant to India and China and in the heart of the ASEAN region, where the oil & gas sector is booming. The International Energy Agency expects Asia-Pacific upstream spending in the sector to increase 36 percent to $323 billion by 2016, up from $238 billion in 2012. Offshore projects in Malaysia are estimated to see the largest capital expenditure increase in the region, ahead of even China and India, according to energy analysts Infield Systems Ltd. Analysts at Wood Mackenzie report that Malaysia’s upstream business contributed 72 percent of Asian exploration discoveries with 1.5 billion barrels of oil equivalent in 2013. To put this in context, oil & gas contributes about 20 percent to Malaysia’s GDP, and much of that is exploration & production (E&P) activity. That’s why companies like SBM Offshore N.V. are expanding their operations in Kuala Lumpur and on their FPSO (floating production, storage and offloading) platforms. SBM Offshore’s Kuala Lumpur executive center, which opened in 2006, now is involved in company projects worldwide and in sales and marketing activities from India to Australia to the Far East, according to an article on Rigzone, a global oil & gas industry portal and news service, from February 4th, 2014. Similarly, Technip Group’s Greater Kuala Lumpur presence has grown substantially since 1982, when it commenced operations there. By 1994, the energy-based global project management, engineering and construction services company employed 1,000 in Greater Kuala Lumpur. Today about 3,000 work in Malaysia — 2,500 at the regional headquarters in Kuala Lumpur, managing operations throughout Southeast Asia, China and Australia. Rigzone also named Kuala Lumpur a Top 10 Oil & Gas City in 2013. 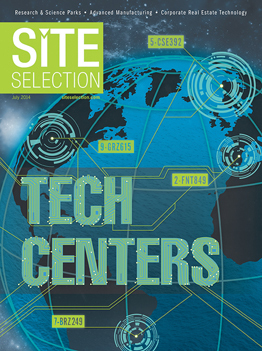 Nearly 8,000 readers weighed in on “which oil and gas cities represent the most important, promising opportunities for the industry and the employees that drive it.” The premise of the ranking is that well educated workers now can find career opportunities virtually anywhere they want in the world — and the sky’s the limit on how often they can relocate. Kuala Lumpur joins Houston, Rio de Janeiro, Singapore and Perth on this august list. But it does not appear on another of Rigzone’s rankings: The World’s Top 5 Most Expensive Oil & Gas Cities (Luanda, Angola; Stavanger, Norway; Juba, South Sudan; Moscow, Russia; and Perth, Australia). That’s probably why so many readers consider Kuala Lumpur a top destination — an abundance of job opportunities and the promise of keeping more of what they earn. Another cost of living survey, this one geared to expatriates from human resources consultancy ECA International, ranks Kuala Lumpur 200th globally, and 30th in its ranking of Asian cities. Its cost of living ranks behind the nearby Southeast Asian capitals of Singapore (9th), Bangkok (26th) and Jakarta (27th). And according to a DTZ study, “Occupier Perspective Global Occupancy Costs: Offices 2012,” the average total cost of leasing prime space in Kuala Lumpur is only US$4,180 compared to the average of US$11,220 in Singapore. “This is seen in the number of oil and gas players who chose to set up their regional headquarters in the center of Greater Kuala Lumpur without having to compromise on excellent quality of life,” Zainal points out. It has a well-stocked labor pool, too. “Greater Kuala Lumpur has one of the most competitive talent ecosystems in the region,” notes Zainal. “The workforce is skilled, well-educated and multi-lingual with proficiency in English. With the likes of major players such as Shell and ExxonMobil who have been in the country many years, existing highly skilled and experienced talent are available to meet the needs of the oil & gas industry.” More than 30 universities are located in Greater Kuala Lumpur that provide a steady supply of graduates for the sector, and cater to the needs of specialized oil & gas enterprises. Investors in Greater Kuala Lumpur’s oil and gas industry will find no shortage of government support. Both Greater Kuala Lumpur and the oil, gas & energy sector are National Key Economic Areas — priorities for transforming Malaysia into a high income nation by 2020 as spelled out by the Prime Minister’s Economic Transformation Programme (ETP). With guidance and assistance from the Government and MNCs such as Petronas, Malaysia’s oil & gas sector will continue existing activities (enhanced oil recovery and exploration), grow downstream activities (storage and trading, LNG importation) and diversify into alternative energies (solar, nuclear and hydro). The goal — set for 2017 — is for Malaysia to be the leading oil & gas hub in the Asia Pacific region, and Greater Kuala Lumpur will be the engine driving the train. It’s already considered a highly desirable business location by domestic and foreign companies. Investors and visitors will attest to Greater Kuala Lumpur’s world-class infrastructure, including superb road, rail, sea and air connectivity. Government initiatives and incentives help drive economic growth and add value along the oil & gas sector’s supply and value chain. These include various tax incentives and the Shared Services Outsourcing capabilities, particularly the Knowledge Process Outsourcing services to provide more opportunities for MNCs to explore new gas fields and expand the engineering and design services to the oil & gas industry. “The attractive incentives and the Knowledge Process Outsourcing platform provides value-chain business ecosystem capabilities that are making Malaysia and Greater Kuala Lumpur an attractive, fast-rising business partner in Asian oil and gas,” says Zainal. Malaysia’s commitment to growing its Shared Services & Outsourcing (SSO) sector, particularly Knowledge Process Outsourcing (KPO), adds breadth to the Greater Kuala Lumpur area’s oil & gas ecosystem. It makes available to energy industry investors a wide range of high-value business services (see chart), allowing oil & gas enterprises to focus on their oil & gas business priorities and invest in those priorities rather in processes that can be readily outsourced. What’s more, the KPO services in Greater Kuala Lumpur are increasingly tailored to oil & gas enterprises, making the region a rich source of industry expertise for one of Malaysia’s — and Southeast Asia’s — most important industries. Invest KL is another resource for oil & gas sector investors. Malaysia’s generous tax incentives are provided for under various laws and regulations covering research and development (R&D), training and O&G industries. Subject to approval, a company granted Pioneer Status enjoys partial or full exemption from the payment of income tax of statutory income for a period of five to 10 years. As an alternative to Pioneer Status, a company may apply for Investment Tax Allowance (ITA). A company granted ITA is entitled to an allowance of between 60 to 100 percent of qualifying capital expenditure (factory, plant, machinery or other equipment used for the approved project) incurred within five years from the date the first qualified expenditure is incurred. The company can offset this allowance against its statutory income for each year of assessment. Any unutilized allowance can be carried forward to subsequent years until fully utilized. This investment profile was prepared under the auspices of Invest KL.